that even death won’t stand before the power of the Church. I don’t know what the Second Coming is to you, …but let me tell you he’s coming to you, he’s coming to his church, he’s coming to abide in you, to take up his abode in you…. I want you to know he’s coming to the Church before he comes for the Church. He’s gonna perfect the Church so the Church can be the Image, be Him, and be his representation. God spoke to the children of Israel to build Him a tabernacle because He wanted to come and dwell with them. If you don't build it He won't come and stay. You won't have a habitation without it. We are talking about creating an atmosphere so He can dwell and linger, a sanctuary, a place reserved. A place where the heavens open and we keep going back to keep it open. literally becoming as Christ is in this world today. "If a man love Me he will keep My words: and my Father will love him, and We will come unto him, and make Our abode with him" (John 14: 23). This promise was fulfilled at Pentecost, and the first two Persons of the Godhead now hold residence in the church through the Third. The Holy Spirit during the present time is in office on earth; and all spiritual presence and divine communion of the Trinity with men are through him…. The Holy Spirit, in a mystical but very real sense, became embodied in the church on the day of Pentecost. The Charisma article contains an audio report HERE. This E21 project is founded upon the faulty belief that man can “shape the future of the Global Spirit-empowered movement.” E21 will be using “an outcome based model.” An outcome-based Second Pentecost?! How will an “encounter” with the “Presence” be assessed? How can these leaders claim that “every person on earth” will have an “encounter” with this “Presence”? Are they asserting that every single person will be born again? Is this about compulsion? Revelation 1:7 does mention one event that every human on earth will experience in common: “Behold, He cometh with clouds; and every eye shall see Him, and they also which pierced him: and all kindreds of the earth shall wail because of him. Even so, Amen.” But this isn’t what these leaders are talking about. The “latter rain” was contrasted to the “early rain” that fell on Pentecost when the Church was born. Thus, all of the gifts and ministries of the “early rain” would be restored during the “latter rain,” giving Biblical justification to their new revelations and interpretations of Scripture. …[A] second and final Pentecost was… bringing the church into a new and final dispensation. 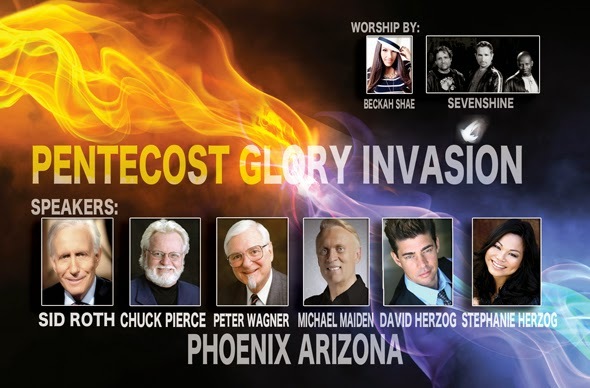 This second Pentecost would bring a final world revival…. To Latter Rain teachers it seemed obvious that if there was to be a repeated apostolic Pentecost that Apostles and Prophets must be restored as well…. The endtime body of Christ must go on to maturity and restore the apostles and prophets and these restored ministries must lead the church to a new and final dimension of power and authority not only bringing in the final harvest but establishing the Kingdom of God upon the earth…. This dominion mentality is conceived as a gigantic end-time revival that will sweep the whole earth in its wake…. An elite company of overcomers from out of the larger church will subdue all things and will be so endued with supernatural power that the first church apostles will be envious of the latter day apostles…. Thus the purpose of this expected “Second Pentecost” is wrapped up in Dominionist beliefs. The “Second Pentecost” is believed to be the key event that will equip “Joel’s Army” with supernatural power to rule and subdue the earth. “Presence,” “glory” and “spirit” are carefully selected words that describe this much-anticipated eschatological event. These code words refer to a descent of a spirit that returns IN people, to fill them with a “Presence” that will “glorify” (indwell, transform) them to rule and reign on the earth (dominion). This isn’t about the Second Coming of Jesus Christ. And it isn’t about the Holy Spirit of the Trinity. The old Latter Rain doctrine teaches a separate coming and filling by a “Presence” spirit to equip the body to do great signs and wonders (i.e., experience a “Second Pentecost”). …[T]he Latter Rain identified with “manifestation” direction with the Second Coming of Christ, the “transfigured” saints themselves actually becoming inseparably identified with Jesus Christ Himself, there being no distinction between the two…. [including] the idea of a literal “transfiguration” this side of the First Resurrection. We have been foreordained of God to become that people who will be so glorified that we can bring Christ back to the earth. This glorified Church must make the earth God’s footstool before Jesus can come again…. The glorified Church will be a mature Church…. The last phrase above is a brazen reference to the Latter Rain expectation that man can achieve godhood. Part of this pending “Second Pentecost” experience is the imagined divinization of believers. One prominent ongoing occurrence this year will be the increasing release of realms of glory. And glory is directly connected to the intensity of God's presence with us. And God's presence is linked with worship. 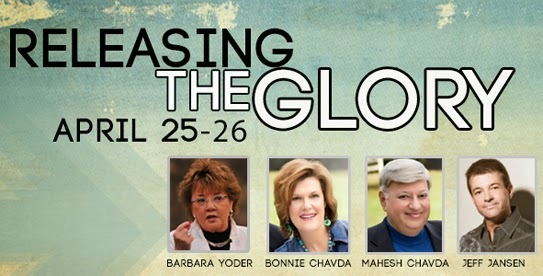 Glory releases the supernatural realm in our midst where healing, deliverance, miracles, signs and wonders break out…. The implication of these statements is that the indwelling Holy Spirit promised to all believers upon salvation is insufficient or inadequate. A secondary infilling event is deemed necessary. An elite level of spirituality is foretold—that there will be a “great reformation” when this “Presence” comes. This promise of a great revival is how the NAR ingratiates itself to mainstream evangelicaldom, desperate for a revival that does not require repentance. But peel back the veneer and the Latter Rain doctrines are discovered, embedded in the very fabric of this much-touted coming “revival.” With roots like these, what sort of fruit will be produced? From this the IHOP and NAR glean their teaching that the Body here on earth must “manifest” Christ and “fulfill” Him during the church age, even throughout the book of Revelation. Thus the hope of Christ’s literal and real Second Coming takes a back seat to the vaunted Second Pentecost. And they believe that man’s efforts will induce it, especially via frenzied worship that can create an altered state of consciousness. Celebrating the Feast of Tabernacles! Pierce evidently is claiming that “His Presence” can “move” in present time and place, and the church must “move with His Presence.” How? Via “violent praise.” Pierce said there is a heavenly “blueprint” that must be followed. Note that one of the stated purposes of this Tabernacle event is to separate the “sheep and goats.” It can be supposed that those who don’t experience the separate “infilling” of this “Presence” spirit might be considered to be the goats. …we, as God's army in the earth, will co-labor with the Host of Heaven to express a Holy God's overcoming power throughout the nations of the earth. This will unlock a global harvest. Your violent praise is preparing a storehouse for Kingdom harvest…. Then, from our seated position, we can walk in the earth clothed in His glory and dispel darkness. He came to overcome the works of the devil, and we can do this as we remain in Him…. …the Kingdom of God in the earth realm becomes covered by prayer, causing an overshadowing of the Holy Spirit's presence. The overshadowing… is being released by prayer all over the world…. The manifestation of spiritual gifts are exploding on the earth…. Yet, a new realm is merging with this one. It is the passionate power of radical praise that shakes the Heavens and enthrones the King, a place of habitation for Him to dwell in. Yet, a new realm is merging with this one. It is the passionate power of radical praise that shakes the Heavens and enthrones the King, a place of habitation for Him to dwell in. Places of manifestations will emerge as saints radically join in the celestial praise of God's own throne room—crying in unison with the redeemed, the elders, the moving Holy Spirit from dimension to dimension. …[P]raise… will transform any ordinary service into a radical out-of-the-box worship. A tangible presence of God's own Glory will be seen, smelled, felt, heard and tasted. It will change the hearts of men forever! The lost will run to this place of habitation…. These examples above evidence the obvious parallels to the IHOP 24/7 model of “violent” prayer discussed earlier in this article series. When in turn Christ had completed his redemption-work by dying on the cross for our sins, and rising again from the dead for our justification, and had taken his place at God's right hand for perpetual intercession, then the Holy Ghost came down to communicate and realize to the church the finished work of Christ. In a word, as God the Son fulfills to men the work of God the Father, so God the Holy Ghost realizes to human hearts the work of God the Son. Yet this finished work of Christ doctrine is murky to those caught up in Latter Rain (IHOP and NAR) heresy. Plain truth becomes confused and garbled when mixed with their revelatory errors. They see everything through the lens of their own imminent “glorification,” to be experienced here on earth, in order to rule and subdue the planet. They anticipate this secondary spiritual empowerment to enable them to perform powerful signs and wonders, even achieve divinity and immortality. How can they justify this new doctrine? Because they believe they are receiving “new revelations and interpretations of Scripture” during this “latter rain” period. This speaks of a present increase in the Lord's manifested presence and glory in the Body of Christ…. Before Jesus comes to appear "outwardly," He must first come "within" us so His glory can radiate out from us to affect the nations…. When He manifests His presence, there is absolutely no doubt that we are experiencing Him at a higher level. During divine visitations we can hear Him speak, witness His glory and sometimes even smell His fragrance…. I have been in meetings before when the fragrance of myrrh filled the room…. Jones connected this with the idea that God will be “welcomed into His temple now,” meaning the indwelling of this “Presence,” especially because of the foundation that has been laid by NAR’s “apostles and prophets.” Note that he says the “purpose” is for “cohabitation” with God! It is outside the scope of this article to review the extent to which the NAR has built its empire of downline networking apostles and prophets, as part of the fulfillment of the Latter Rain/MSOG mandate to “restore” these offices in the church. We have examined this issue in detail previously. Suffice it to say that since the NAR has built its global network that they believe that now is the time for the promised “Presence” to “manifest.” They had a timeline and it is on target. …I changed the language of my prayers, calling Jesus "My Love". Immediately, I felt His presence drawing nearer…. New Age spiritualists reject this understanding of the two realities. They suppose that reality is one unified sphere (as above, so below), that “here-is-there” and that “there-is-here.” In their view, two different realities do not comprise the universe. The cosmos is but a divinized “One.” Science and spirituality are viewed to be but two aspects of the same cosmic One. This humanistic holism ends up believing that whether in a pantheistic or panentheistic sense, nature is God. When biblical prophecies are shrouded by denying their primary meaning, the way has been opened to also degrade and undermine other biblical principles. In this way, man takes the liberty to enforce his own ideas on the Bible in order to avoid unpleasant realities, invent an easier way of salvation, adopt a more tolerant approach to sin, thereby effectively deviating from the narrow way of the Lord and joining the broad way of sin. In this manner, self-justifying man establishes his own kingdom and does not look forward to the future kingdom of Christ which will be revealed after His second coming…. The fifth and most important foundation of the Christian faith is the Rock, Jesus Christ, with full recognition of biblical facts on His virgin birth, deity, atoning death, bodily resurrection, and ascension. He is the incarnated Word – God who became flesh and dwelt among us. When the Bible is no longer recognised as the inspired Word of God it stands to reason that Jesus Christ will also not be regarded as the perfect God-man. Consequently, Christianity will no longer be perceived as unique and will be relegated to a position of equality with the other world religions. It is important to determine how far the rejection of the biblical Jesus has already taken place within backslidden churches, and how members react to these views. It undeniably amounts to treason against the true Christ if confessing members remain within a church in which these serious errors are condoned and accepted without protest. The Lord Jesus says that if we deny Him He will also deny us: “But whoever denies Me before men, him I will also deny before My Father who is in heaven” (Matt. 10:33). Nobody will get away with spiritual treason of this nature without incurring eternal damage to his soul, while at the same time deceiving many other people. When people turn away from the true Jesus, “another Jesus” is proclaimed to them under the guidance of the spirit of error (2 Cor. 11:2-4), and in this way people are conditioned to accept the Antichrist instead of the true Christ. The warning of Jesus in Matthew 24:4-5 refers to the seriousness of this form of deception….. The time is now ripe for the appearance of the false christ of all faiths, as the world is in such an advanced stage of delusion that the vast majority of people will follow him in amazement and also worship him (Rev. 13:3-4, 8). However, before that will happen, the true Christ will secretly come as the heavenly Bridegroom to catch away His bride to heaven (1 Thess. 4:16-18). These believers were not involved with the destruction of the foundations of the Christian faith, and for that reason Christ will say to them: “You have kept My word, and have not denied My name” (Rev. 3:8). Because they have accepted the Lord Jesus with the full recognition of His divine attributes and the great significance of His crucifixion, and have honoured the Bible as the inerrant and inspired Word of God, they have seriously regarded the command to be born again and also trusted the Lord for the further work of grace to be filled with His holy Spirit. In this spiritual state they eagerly look forward to the second coming of Christ. This is a sanctifying hope, as “everyone who has this hope in Him purifies himself, just as He is pure” (1 John 3:3). 3. Advertisement on TheElijahList for Todd Bentley’s CD “Preparing for Habitation: Secrets to Having God’s Presence in Your Life Continuously,” April 23, 2008. Emphasis added. 4. Ron McGatlin, “Partaking of the Divine Nature,” OpenHeaven Digest, July 26, 2012. Emphasis added. 14. Woodrow Nichols, The Walk of John Robert Stevens: The History, Beliefs, and Spiritual Dynamics of a Christian Cult, 1980, unpublished manuscript, p. 31, footnote 6. 19. Woodrow Nichols, Ibid, p. 39. 20. Woodrow Nichols, Ibid, p. 39 citing George Warnock’s The Feast of Tabernacles, p. 38. 23. Ron McGatlin, “A New Day,” OpenHeaven Digest, OpenHeaven.com, April 7, 2014. 24. Henry Falcone, “This Weekend We Truly Had a Holy Spirit Invasion,” OpenHeaven Digest, OpenHeaven.com, April 7, 2014. 26. Barbara Yoder, “Releasing the Glory,” TheElijahList, advertisement, April 8, 2014. 28. Dean Michum, “Discovering The Next Dimension of Worship,” TheElijahList, April 2, 2014, http://www.elijahlist.com/words/html/textonly-040214-Mitchum.html Bold and italic emphasis added. 31. Woodrow Nichols, Ibid, p. 37. 33. Woodrow Nichols, Ibid, quoting The Feast of Tabernacles by George Warnock, pp. 48-49. 34. See “Altered States: A Different Gate,” http://herescope.blogspot.com/2011/04/altered-states-different-gate.html and also read the earlier articles in this series. 35. Chuck Pierce, “Join us for THE ARK IS MOVING! (Sept 30 - Oct 2, Jacksonville, FL),” letter from Global Harvest dated August 20, 2010. Graphic illustration accompanied this letter. 37. Woodrow Nichols, Ibid, p. 40. Emphasis in original. 39. Chuck Pierce, “NOT,” Ibid. 42. Theresa Phillips, Ibid. Emphasis added. 46. Victoria Boyson, “The Latter Rain: Holy Spirit’s Release – A Vision,” TheElijahList, March 1, 2014. 48. Woodrow Nichols, Ibid., p. 31. 58. “We Need His Manifest Presence,” Ibid. 61. Professor Johan Malan, “Spiritual Foundations are being Destroyed,” Mossel Bay, South Africa (April 2014), http://www.bibleguidance.co.za/Engarticles/FoundationsFall.htm. The graphic exhibits are advertisements by the New Apostolic Reformation for their events. Most appeared on TheElijahList.